I know I say this every year, but Oak Meadow Fifth Grade is now my new favorite level of the curriculum. I wish I could have sat down with all the levels years ago when I first started using the program, because there is something magical about the progression of skills. The curriculum changes ever so slightly each year, growing with the child and adapting to their needs at each stage. The core of the program is still the same. It’s still flexible, creative, and fun. The bones are always the same. But the meat . . . the meat is awesome in Grade 5. If you are new to Oak Meadow, I really hope you take a moment to look at our thoughts on grades one, three and four, because it really will help you see the progression of the program and make more sense of how it works. With a review like this, it’s hard to fit in all the nuances, and the longer I use it, the harder it is for me to know what little things I should point out, without comparing it to earlier years. You can jump in at any point in the curriculum (in my opinion). I’d say the deciding factor should be based more in ability and maturity than the number on the front of the book. Also, because I know I made this mistake myself, don’t jump your child ahead in the curriculum in the early years. Waldorf based programs gear up slowly- many say they are “light” but light is not the correct word. They are deliberate. They are gentle and they are child-focused. You have to see past the noise of the world, and all the people telling you to push your child harder, faster and sooner, and see your child for who they are. 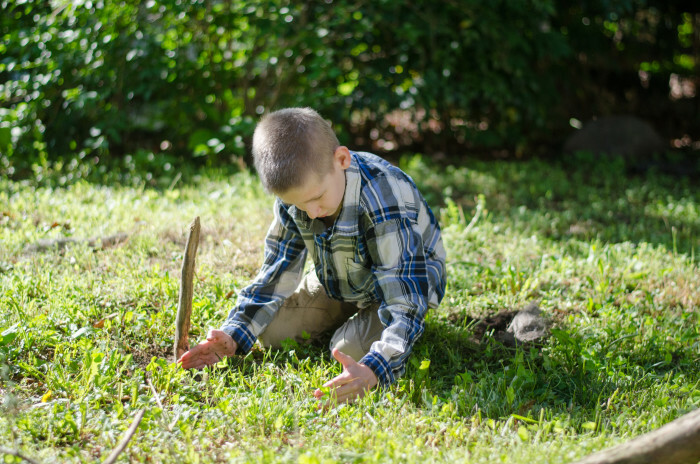 Kindergarteners need room for play and for magic and for nature, and there is no reason that you can’t teach all they need to know while outside digging in the dirt and telling playful stories. The problem with jumping ahead really comes down to the fact that as your child grows, the curriculum grows. By the time you get to the fourth-grade book, the program is really revving its engines. Your child is ready, and the program is going to push them to write more and evaluate more and take on more responsibility. 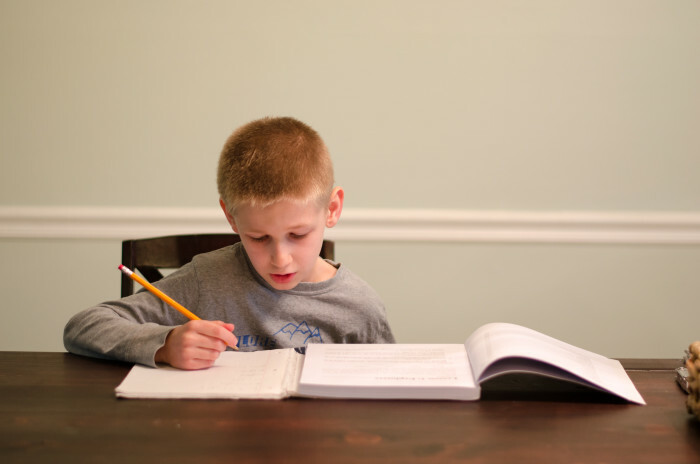 By the time fifth grade hits, the program is full speed ahead, and your child really needs to be ready to work independently, to read actively, to take notes, and to express themselves clearly in their writing. Let’s talk about Oak Meadow Fifth Grade! This year is U.S. History, from explorers, through the Civil War. The end of the year briefly covers geography, culture, and a quick look at the state you live. in. The history reading is included in the text with full-color illustrations. The assignments are found throughout and are set apart with a bold font. Assignments include things like consulting maps, writing responses, making crafts, cooking, dioramas, and other art projects. English activities are also incorporated. Each lesson starts with a vocabulary lesson, and grammar activities. Grammar information is incorporated in the text, and topics covered in previous years are included in an “English manual” in the back of the book. Additional reading from the library is recommended. Fifth Grade science covers everything from the scientific methods to ecosystems, habitats, biomes, astronomy, weather, cells, body systems, energy, sound, electricity, technology and physics. Science lessons include all the written material right in the book. After each section of text, there are assignments for your child to complete. While the text is more like a traditional textbook, the activities are still creative and varied at this age. There are research projects, writing, models to create, and my favorite part, thoughtful questions to answer. Your child will be asked to think critically and evaluate the information, rather than just regurgitating the information they read. For example, when learning about blood types, your child will have a chance to chat with their family members to see to whom they could donate if someone needed blood, and who could donate to them if they ever needed it. The math book is the only consumable book in the set. You could have your child transcribe questions on another sheet of paper, but this slows Bug down (and leaves room for errors) so I let him write in the book directly. Fifth-grade math covers a review of past topics, graphing, roman numerals, long division, multiplying by large numbers, geometry, and goes in depth with fractions. There are many word problems included. At this age, math is a solid mix of answering traditional problems, and working with more practical questions that show the application of the lesson to real life. What do I love about this program so far? This year is very clearly laid out. I love that when I open up the student book, I can see at a glance which portions of the text are student reading, and which portions are assignments that need completed. The assignments are written in bold, and pop right out of the text. I can use the sticky flags like we did last year with Oak Meadow Four to indicate which activities I want Bug to complete, and he’s ready to go all on his own. I love that the text and assignments are all in the same book, in the order they are expected to be done. 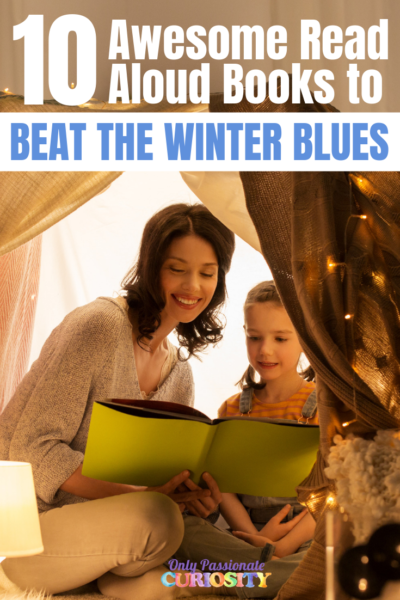 There is no flipping back and forth or losing additional books. Even art, crafts, music and other extension activities are included right there in the text this year (in earlier years, some of this was found in the appendix instead of in the text). There is only one small thing I wish was different about this level, and it really comes down to me being a type A kind of person. 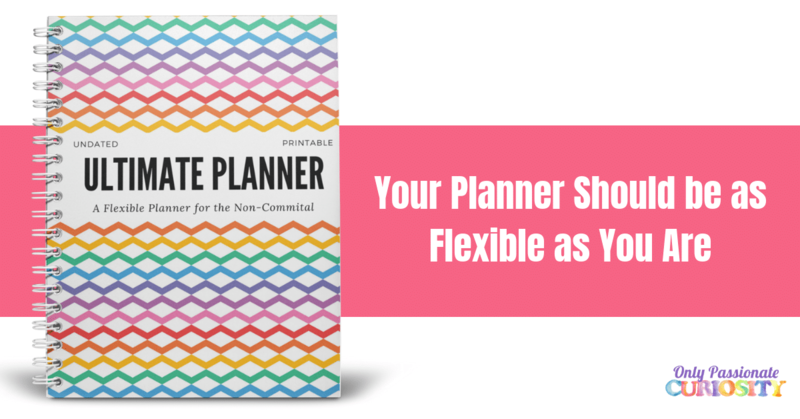 I am a compulsive planner, and I love when programs plan everything for me. This program really is written directly to Bug, so in theory, I don’t need the same sort of lesson plans I needed in the past, but I would love to see some sort of pre-planned checklist to make tracking everything easier. I would pay handsomely for a clear checklist that JUST lists the assignments and the things Bug needs to do each week. I’d love two copies, one for him to track his work, and one for me to use to track what I have evaluated and what I have not. The teachers manual is invaluable at this grade because it does list all of the things your child needs to do (the same bolded assignment prompts from the student text appear here) with the answers, so I am just going to take that detailed list, and break it down into a one-pager checklist. I know there are people out there who struggle with the flexible nature of the lower grade levels, and I do want to say that this year is the most structured year I have seen yet (I expect it gets even more structured as time goes on). This year still leaves the when and how of scheduling up to you, so you can still block schedule and do one subject a day, or do it in 4 days instead of five, or even move at a half pace…. but it lists very clear assignments which will be easy to plug into a checklist like the ones I enjoy using. I am looking into Oak Meadow for my 8th graders. The 8th grade civics really looks good. So does the language arts – although we already read The Giver! Interested in support for decision to home school. I will have a 5th grader next year .. also a preschool, 1st grade and 7th grade. I would choose 5th grade for my daughter. I have a hard time choosing grade levels because my children’s skills are all over the place. I would probably choose 2nd grader since that is the level of my oldest. I would choose level 7 for my oldest. Would love to grab a ok 7 th grade! Would like to know if anyone has used the om distance school and how is the teacher involvement? Are they promt with responding, how often are students required to submit assignments, etc.? I’ve never used the distance school unfortunately. I’ve heard good things on message boards though! Oak Meadow is really helpful, I am sure they would be happy to chat with you on the phone. I would get pre k or kindergarten. Thank you for such a wonderful review and the opportunity to win! We used Oak Meadow for Kindergarten and would love to be able to use it again for Grade 1! Oak Meadow looks like a lovely program! Your reviews are exceptional, thank you for doing them. If I were to win, I would pick either 2nd or 3rd grade level. This looks like an awesome complete curriculum. We’ll be starting our very first year of homeschool this fall. I’d love to win the Kindergarten curriculum! I would love to get the 1st grade curriculum! I would be thrilled to get the Grade 2 set. I will be homeschooling 4 of my children next year (grades Kindergarten, 2nd, 3rd, & 4th). I would love to win the 4th grade curriculum! Thanks for hosting this giveaway & for all of your insights on Oak Meadow! So grateful! This will be our first year using Oak Meadow. This sounds like very interesting curriculum! I would choose grade four – looks like fun! I would choose 5th grade. i think i would choose the 1st grade level for my daughter. I have two girls and would love to have the 3rd grade syllabus for my oldest next year! Oak Meadow 1 is the grade we need! I think I would choose 2nd and then figure out what would be needed for 4th, or maybe the other way around. I recently bought the third grade curriculum mostly on your recommendation from a few years ago! I love it and can’t wait to try it. I would choose 7th grade. I am so excited about this. Thank you! I would choose 1st grade for my little one. I would love to try out fourth grade level next year. Thanks for the chance to win! I’m not sure what level I would need for my 7 year old who I think would benefit from with her advanced reading and math skills. So I would have to talk with them to figure it out. Fifth grade oak meadow is a hat I would choose. I also have a 7th grade homeschooler and first but oak meadow would suit my 5th grader! I would choose second grade.. oh soo excited! I would love to win this for my daughter who will be starting the 7th grade this year. We have tried different curriculums the past 3 years, but still haven’t found “that fit” just yet. I would choose pre-school or Kindergarten curriculum. The curriculum seems like it will be awesome for my son and he is starting fifth grade this coming school year. Would love to have it! I would choose first grade. Thank you for the opportunity! I would want the first grade! I have drooled over their materials for years. It would be such a gift to use it with my kindergartener next year! I would love a year of curriculum! I have grades 5 and 2nd next year and would probably go with 5th grade as I’m reusing my oldest childs 2nd grade curriculum for my youngest! We would love to try the Grade 7 curriculum! I’ve been on the lookout for an all-inclusive program for this upcoming year, and by your glowing reviews of Oak Meadow, this looks promising! I would love to try the 3rd grade curriculum. I enjoyed reading your review. I’ve been considering using Oak Meadow for a while but I haven’t made the leap yet. I’m uncertain if 5th would be the right level for my son or 6th. He is advanced in some areas but behind in others… so I think if I won one level I would go ahead and purchase the other so I would have a good spectrum of lesson plans. I’m so thankful that I found your blog. This will be my first year homeschooling my daughter who will be in 6th grade. I have been worried about curriculum and your review has been very helpful. I really hope I win it! Thank you for the help!!! I’m so overwhelmed and nervous about the upcoming school year, every bit of guidance I can get I am thankful for. I would choose 1st grade. I’ve been researching Oak Meadow quite a bit this year. I’m not 100% positive, but I think I would choose the 8th grade curriculum. Thanks! I would choose 1st grade 🙂 Thanks for the chance. Thank You for the chance to win! I would choose the 2nd grade level. I would pick 7th grade. Thank you for this opportunity would like to win 4th grade curriculum. I would pick 3rd grade! Thanks for the chance to win! We would love to have the fifth grade curriculum! We have used oak meadow for first and second grades and enjoy it! This time I would get 4 th grade and buy third while I can get the 15% off for May 🙂 Planning ahead! Oak Meadow is such a beautiful curriculum. Love it! Thank you for the opportunity! I would go with 2nd grade level. We have all ages/grades here so I would likely choose the higher end of things…middle school range. I would choose the 3rd grade curriculum!! I’ve looked it and it looks amazing! This curriculum sounds like it would be great. 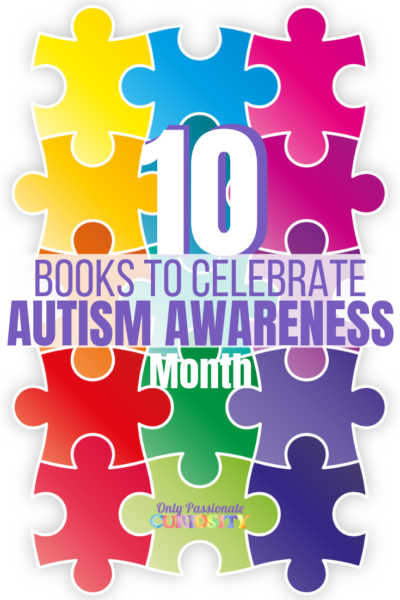 Since our son has autism, it’s really hard to know what will reach him and he’ll learn from and what won’t. It would be a fantastic opportunity for us to try this curriculum! Since we’ve purchased stuff before and couldn’t get a refund like we were supposed to, I have not given another curriculum a try since because it’s just not worth spending money on something without knowing in advance that it will work for us. Having the opportunity to try before we buy works so much more for us! Thanks for offering such a great opportunity and explaining the program so well. We are in our second year of homeschooling with OM and love it! 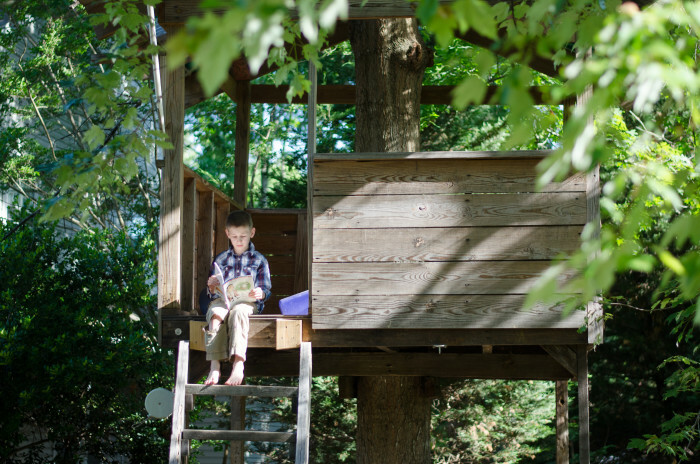 I love that you blog about Oak Meadow. I am not as far along as you in homeschooling using Oak Meadow so it is encouraging to see your posts! I would choose first grade for the curriculum! I would choose first grade. We would be needing first grade curriculum next so I would choose that one! I would choose the 1st grade curriculum. Thankyou for this great opportunity! I would choose 6th grade. Love the giveaway! Totally would choose grade 6. I would choose 3rd grade, since I have a developmentally delayed rising 4th grader who needs a gentle approach. I would choose fifth or sixth grade. I’ve always wanted to try Oak Meadow. We’d need kindergarten or first. Placement seems tricky for my eldest and this will be our first year. I especially appreciated your thoughts on working ahead, and will have to keep those in mind. I would choose pre-k or kindergarten! This was my dream curriculum but I could not afford it for all of my kids. I think I would choose 5, 6, or 7. I would like to try anything from 4th to 9th grade! 🙂 We’ve been interested in this curriculum for a long time. I would choose the 4th grade level. Thanks!! We would love the 6th or 8th grade…! I think I would choose grade four or five. Thanks for the chance. I’m just discovering OM and would love Grade 8.
wow what an amazing curriculum ! I would go with 4th grade. 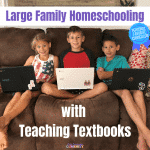 I am new to homeschooling and am so lost when it comes to picking the right one there is sooooo much out there. The fifth grade set would be amazing. This will be our second year to be home educated and my oldest has by far been the hardest to curriculum hunt for. I would use it for my special needs daughter on the kindergarten level. I would choose 7th grade for my oldest. He is an independent learner and this sounds like it would be right up his alley. This would be a great help ! I hope you pick my family! I would want to try 5th grade also! Wow… I just realised I misspelled eighth TWICE. Oiy! I would pick 3rd or 4th. I would love to use Oak Meadow with my rising 3rd grader. It seems like it would be a great fit for him. wE WOULD BE USING THE GRADE 5 CIRICULLUM. Just getting back into homeschooling, We were gone a year and miss it so much! Love the entry but since I already follow you on most social media platforms, I was not sure which one to do. Would love to win a First Grade curriculum. If you already follow, you already get credit for those! Just click the button, and you’re good to go! After reading your reviews from last year I just bought the 4th grade curriculum. I would really really LOVE to get the 1st grade curriculum for my little guy as well! I would choose eigth…I have seven children UNDER eigth so it would get well used! I have been wanting the Oak Meadow for years. Thanks for the chance to win a great curriculum. I would love to win the 8th grade. We’ll be doing OM 4 next year. Getting excited! I would choose 1st, 4th, 5th, or 6th (have three of my four children that could benefit from this). What a great, developmentally appropriate curriculum. I would LOVE to win the 2nd grade curriculum!! WE’VE BEEN DOING A COMBINATION OF SEVERAL DIFFERENT CURRICULUMS SO FAR, I WOULD LOVE TO USE A BOX SET FOR MY THIRD GRADER- I THINK IT WOULD HELP HIM TO HAVE THE CONSISTENCY OF THE SAME PROGRAM ACROSS SEVERAL SUBJECTS. I would choose K or 1st! I would pick the fifth grade curriculum. I have looked at Oak Meadow last year for my kids but decided to plan my own but for last year. This year it would be lovely to win the Oak Meadows curriculum and use it in the fall. We did 5th grade this year and LOVED it too! I would love to win 6th grade! I would love to win the K curriculum as we’re prepping for fall and haven’t gotten one yet! Thank you for this generous opportunity. We could use 1st Grade curriculum. I’d pick OM4, and use it with my 9 and 10 year olds. Thank you for the helpful review of grade 5. That’s the grade level I’m looking at for my kiddo. I would love Kinder to get my daughter started! Oh how I would love to win and purchase a 5th grade package for my oldest son! I’d choose either Grade 2 or Grade 3! We would choose grade 4, we’ve been absolutely thrilled with Oakmeadow! I am starting both a 1st & 3rd Grader homeschooling for the first time this fall! So I’ll take either, really! Just really want to start with Oak Meadow! i would choose Oak Meadow grade 8. I would grab grade 3! I would choose grade 3. Love Oak Meadow wish it wasn’t so expensive…can’afford it. I would love to have the 5th grade and second grade levels. This would be a wonderful start to homeschooling my little ones. I would choose 5th grade! I’m dying for a chance to use Oak Meadow!!! We are just starting out with OMK, and I agree with your statement that the early grades aren’t really light. They are gentle and holistic, but they are also so thorough and deliberate. Thanks for hosting this generous giveaway! I would choose Grade 2! I have a child who will be starting Kindergarten this year, and I have been really torn on weather to start her on the Kindergarten or first grade level. She will be 6 in November, and already is familiar with her capital letters. After reading this though , I believe I will choose the kindergarten! I hope it’s not a mistake. I just don’t want her to feel like she is repeating what she did this year. 3rd grade! We’ve used Oak Meadow for 1st and 2nd and it beautiful. Would love to use it again for 3rd grade. Would love to have the full2nd grade to check out! I would choose the kindergarten package for my daughter. I’d pick kindergarten – my son is almost 4 and I want to be ready! I love Oak Meadow! We used it for 2nd grade and my daughter enjoyed it! I would have to choose OM 4, 5, or 7. That’s going to be tough! This would be a tough choice. I think I would choose grade 2 if I was luck enough to win. I would love to see how starting this curriculm later would work. I really think my soon to be fifth grader would enjoy it. Would love to win! I would go for grade 2 package. Thanks! I’m just learning about Oak Meadow & just starting out home schooling I would choose 1st Grade. Thanks for your great review of Oak Meadow! I’ve been tossing around the idea of using this curriculum for the past year. I’ve previously done a mish-mash of things and I’m ready to do something more settled. We love OM and would get OM3!! We’re heading for grades 3, 5, and 7. We’ve loved Oak Meadow so far. We just finished 5th and 1st, our first year using OM. We loved all of it! So glad we decided to use OM, and we plan to continue using it. I would love 6th or 7th grade. I would choose 8th or 1st grades. I would choose grade 7. This is our first year as an oak meadow family–very excited! We could use gr 4 or 5. We would love Kindergarten and 2nd grade. Thank you for writing about NOT skipping grade levels. I have been struggling with this choice. Which level of Oak Meadow would you choose? 4th grade! Love the younger grades in Oak Meadow. I’ve already purchased curriculum from Oak Meadow for this year, but I plan on using Oak Meadow through school. I would love OM 6. Would love to win OM1! Thanks! I would love to get the Kindergarten curriculum for future use with my 3.5 year old and 6 month old! I’d love the kindergarten guides for next year! I would choose either 6,7, or 8. Need to read up again! We would love to use oak meadow for 6th grade. I would pick either first or third. Great review! We would love to win grade 6. We’re doing OM 5 and OM 10 this year!!! We love this! Thank you for the opportunity! We just finished grade 5 as well. What a wonderful year! My daughter loves OM. We always get the older used versions though. Do the newer ones have color pictures? Color would be the only think I would add to this curriculum. The black and white pictures are just not as interesting. We would get grade 6. My daughter loves oak meadow, but has only done grade 3… twice because she loved it so. We haven’t been able to afford it for a couple of years and she loves the look of grade 6! We are ready for OM 4. Can’t wait!!! I’d like to try this for grade 5 or 6. I really like the books they include. I would choose OM5. I have a daughter going into fifth grade and I feel that she would really love Oak Meadow. I would choose kindergarten. It’s my first year homeschooling so this would be great! Thanks for the opportunity! For my family, I am undecided between grade 7 or 8. I’m leaning toward 7. We’re looking forward to starting Oak Meadow this fall. We’ll be starting with grade 2. We still love Oak Meadow. We will need grade 7 next!!! I love Oak Meadow. One of my three is just finishing up level 5 and really enjoyed it. I used OMK and OM1 a few years ago with my girls. I would love to have OM4 to use with my oldest next year. After years of trying just about every curriculum and little success, I finally found Oak Meadow. Can’t say enough about how great this curriculum is! My kids are back to loving school and learning with a hands on approach. Would love to win 4th or 8th grade. Thanks so much for the opportunity to win an amazing prize! We did OM 3 and OM 5 this year and it’s a huge difference! We did some all together but I had to alter the work for my 3rd grader who isn’t ready for that much work. The content is fantastic although in some areas of history I would like to see a little more. Great review. I especially like your summation of the ‘lightness ‘ of the early years. As a parent of two now in college who used OM all the way k-12, I can assure you it is enough and more. I really liked that it is easy to adapt for those eager for more AND those with some learning challenges. I would love to win Oak Meadow 6! I’ve already bought 5 and 3 for my kids this year (your reviews were a big help). Hi Heather. I have been following you for over a year now, going back and reading and remembering when you moved to Germany. I have been reading up and researching OM for the last year. My son is just finishing his first year being homeschooled. He is in 2nd grade this year. It is such a difficult choice to make, especially sight unseen. I would feel better being able to thumb through books and such. I am such a visual person (and I love books. 🙂 ) If I were to win a year’s curriculum, I would choose 4th grade because I have 3rd grade’s already purchased and sitting here. I really have been intrigued with their curriculum. For a new homeschooler, it is so overwhelming the amount of curric. out there, not to mention the different teaching styles. Until I started to homeschool, I had never heard of Charlotte Mason, or Waldorf, or any of the others for that matter. I would get OM2 or OM6 I think! I would pick oak meadow’s grade 1 for my sweet son. Thanks for the chance to win!